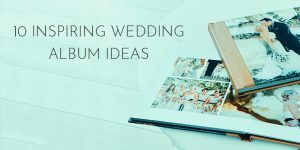 The goal for any wedding album is to be an absolute visual delight that showcases all the emotions. That goal in itself makes the task of selecting the pictures for your wedding album a challenging one. With hundreds of photographs to choose from, it might confuse and underwhelm you. You can conveniently create a custom wedding photo album online by using Happy Wedding app. 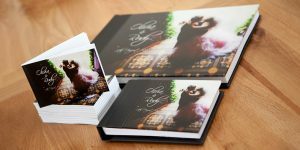 Here are a few tips that will help you choose the right pictures for creating the stunning photo album that you desire. Every wedding has a beautiful story behind it that defines the ultimate emotions between the two of you. 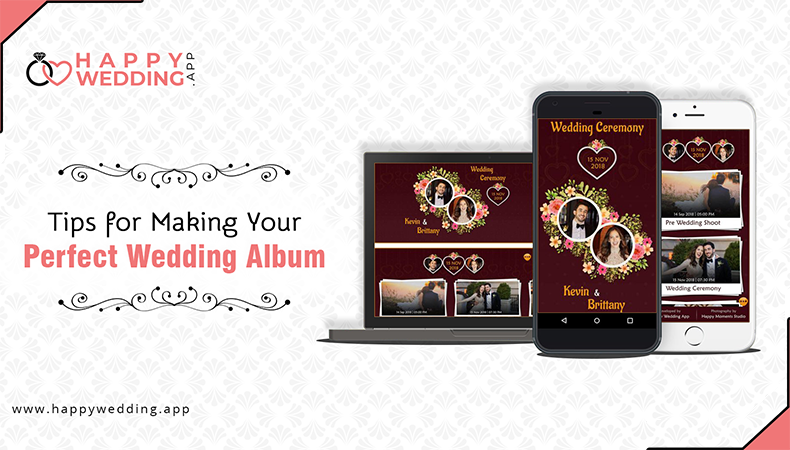 So, start by choosing the most suited theme from the wedding album templates available in Happy Wedding App. When selecting the first few pictures, try to pick ones that are sort of an introduction. It will create excitement and set the tone for the whole album. The target here is to build anticipation so you can start with a picture of your wedding invitation followed by some images of the wedding venue. Follow it with some photos of the preparations for the wedding for both, the bride and groom. Nestle these pictures among those of some flowers, colorful decor, etc. Do include a big picture of the stage or an aerial view of the wedding location. Capturing every significant moment of the ceremony is most important. Select the pictures that convey the soul and heart of this lovely event for which everyone has gathered. Include a few photos of the guests arriving all dressed up to the venue. 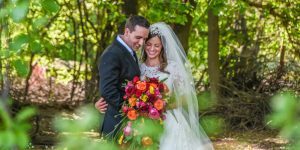 3-4 pictures of the bride and groom arriving at the venue will be best to speak of the love and excitement that engulfs your special day. Your album would have already captivated the audience by now, so make sure you include close up pictures of the bride and groom together during the rituals for those extra ooh’s &ahh’s from the viewers. 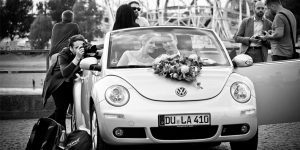 While you focus on the bride and groom, make sure that you choose pictures of your guests enjoying the occasion. 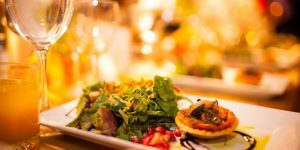 A few pictures and candid shots of guests from both sides celebrating will add another dimension to the story and could even add a few laughs to your romantic milestone. Choose a picture that will stay in the mind even after the photo album is closed. Use your creativity for this one because only you can make the best choice when it comes to selecting a picture for a perfect finish for this amazing photo album.